Description: Retro is a unique collection, with personality and style. It is the perfect blend between age-old taste and modern technology. 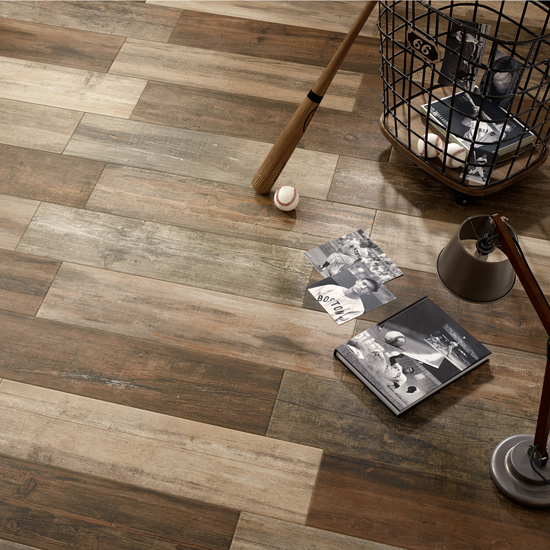 The wood look tile series is complemented with a large variety of cut pieces that satisfy every kind of need. Size(s): 21,8 x 84; 21,8 x 84 Grip; 30 x 30 mosaic; 30 x 30 tesela; 19,8 x 40 loseta; 9,7 x 27,5 listelo.